Remove appendages and hulls, break up multiple florets or condition seeds for optimum germination. 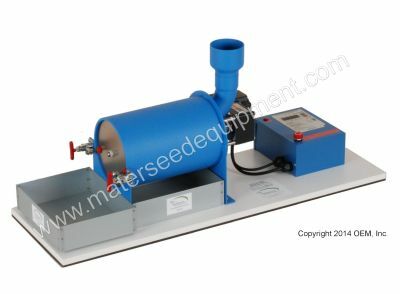 Only Mater Seed Equipment offers a user configurable laboratory debearder! 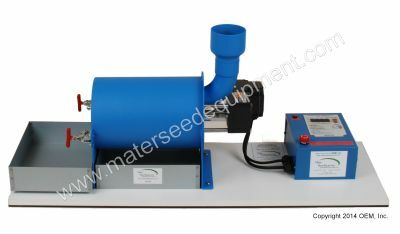 Choose interchangeable impellers and drums for your types of seeds. Batch style for convenient small lot processing. Flower and Vegetable Seeds – Polish; Remove Beards, Awns and Bristles. Rotating Brush Holder Assembly with a pair of Fine Brush Strips and Unperforated Plated Steel Drum. Flower and Vegetable Seeds-Shear Off Appendages; Remove Husks. 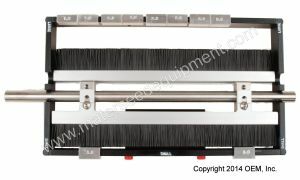 Rotating Brush Holder Assembly with a pair of Fine Brush Strips and Plated Steel Drum with 2mm diameter Perforations. Remove Seeds from Stringy or Fibrous Matrix. Multi-Tined Stainless Steel Impeller and Unperforated Plated Steel Drum with Removable Stationary Tines. Tree Seeds – Shear Off Appendages. Paddle Assembly with Adjustable Urethane Wipers and Plated Steel Drum Assembly with 3mm diameter Perforations. Rice Processing – Remove Hulls. Rotating Brush Holder Assembly with a pair of Fine Brush Strips and Unperforated Plated Steel Drum with eight Wire Ribs welded inside. New Fixture for quickly, easily, and precisely setting the clearance between the drum and the brush or paddle assembly for your Mater Batch or Continuous Debearder. Comes with spacers for 1.0, 1.5, 2.0, 2.5, and 3.0mm clearances.